New to crowdfunding? You’re in good company. CHECK OUT YOUR OPTIONS! Smart women are crowdfunding on iFundWomen to launch their new product or service into the world. Think of crowdfunding as marketing, with funding as the happy bi-product. There is a lot that goes into a successful crowdfunding campaign, which is why having a crowdfunding coach to guide you on the journey is critical to your success. Let’s do this! iFundWomen is better than the leading crowdfunding platforms. Why? Because our expert coaches tell you how to do it. It’s that simple. 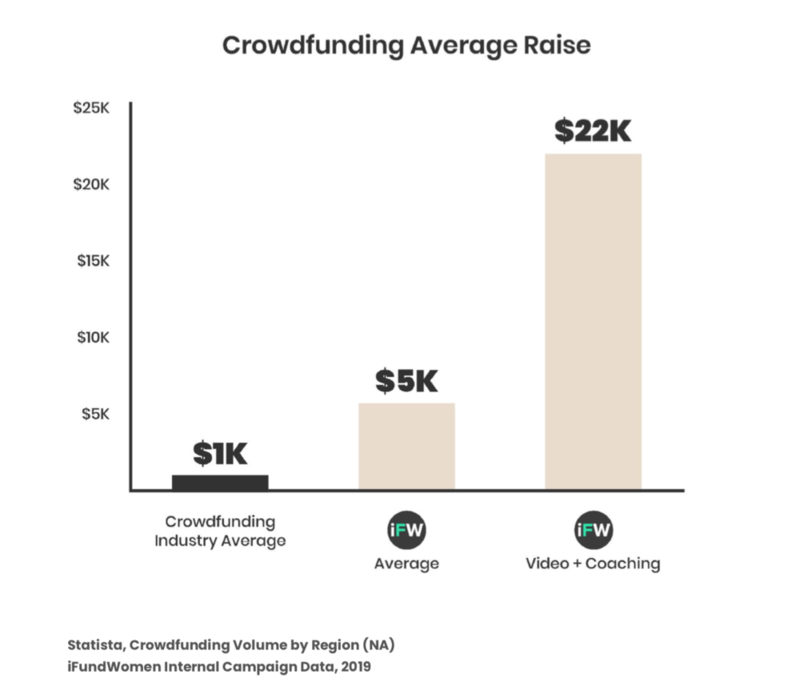 iFundWomen drives a 5x average raise versus the crowdfunding industry average. Entrepreneurs who invest in iFundWomen's Private Accelerator & Video production raise 4.5 times more money than those who go it alone. Peace of mind that you will exit this course with an expertly crafted go-to-market strategy for your crowdfunding campaign, and your business. Terms & Conditions: If you are crowdfunding on iFundWomen, you will pay a 5% standard crowdfunding fee on every transaction processed. For more info on crowdfunding fees, please read our FAQ. All coaching and creative service payments and deposits are non-refundable. Feel free to chat us through the green icon at the bottom of the page or email us. For the fastest response, chat us!